This is just a small selection of Sage wedding invitations to give you some ideas – the majority of our wedding invitations on the main page are available with ribbon to match your colour scheme. Sage green will give a stunning natural look to your wedding invitations and is perfect for a contemporary yet delicate wedding day style! Imagine a pretty spring wedding in the countryside with its sage and white colour scheme. 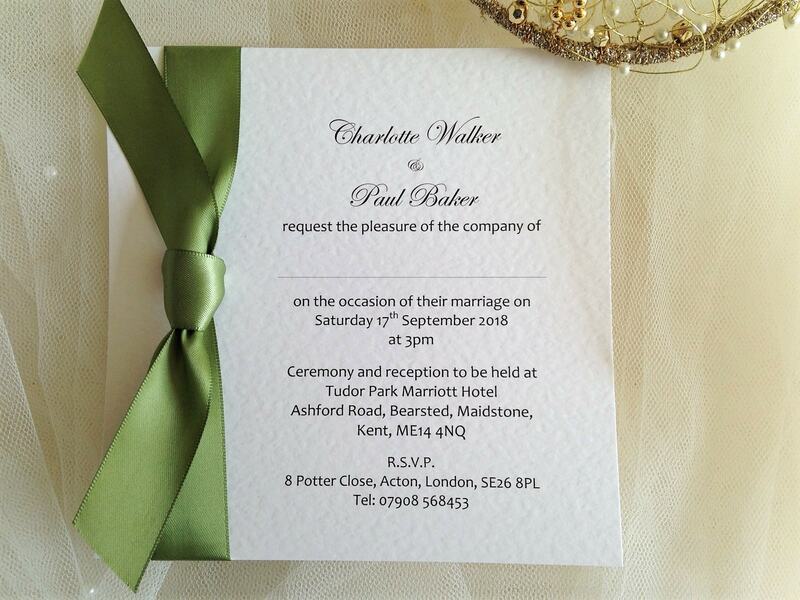 We stock sage ribbon in satin and organza and can even print your invitations in a sage typeface if you wish. Order your sage wedding invitations today.